Isn’t sunday just the best day to have a huge brunch with friends? In this case it was my birthday filled with amazing food. 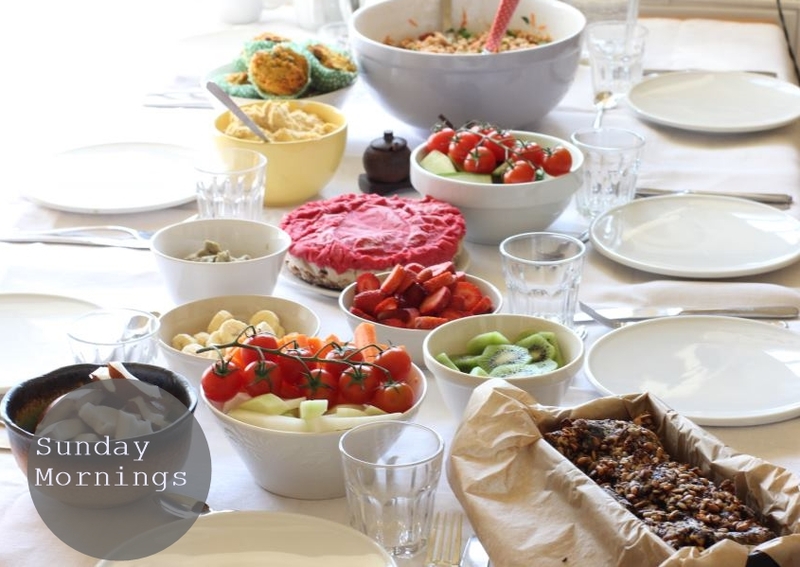 Sunshine, laughter, fresh juice, homemade dishes = treasured moments! I am still smiling and am very grateful to have these dear people in my life. To spend three days with them & enjoy delicious food, is a blessing! I made several desserts for the celebration but the Raw Cake turned out to be the most popular. Plant-based food is just striking and wins everybody over. Yay! Soak the cashews for 4 hours. Rinse them well. Prepare a square or round cake pan with baking paper. Melt all of the coconut oil in a bowl over a hot water bath. Blend the nuts and dates together in a food processor, add about a teaspoon of oil to it. Pulse again. Spread it on the baking paper, use your hands to press it into a flat crust. Next blend the cashew cream ingredients. Pour the cream over the crust. Leave some cashew cream in the processor. Add the raspberries, coconut oil and honey into the processor and blend until creamy. Spread it on top of the cake. Then freeze it for 2-8 hours. Let it thaw 30 minutes prior eating. Add some fresh berries as a topping. Enjoy!